LIFTED TOYOTA TUNDRA!! This 2016 Tundra 4WD is One Bad Rig!! 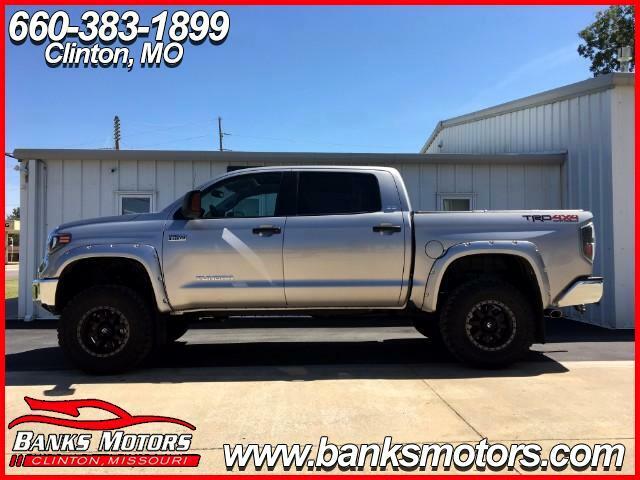 It is equipped with the TRD Off Road Package and is loaded with options and custom upfits which include....6" Pro Comp Suspension Lift, Brand New 35" Toyo Open Country M/T Tires, Bushwacker Fender Flares, 18" Fuel Beadlock Wheels, i Force 5.7 L V8, Custom LED Headlights and Tail Lights, Heated Cloth Seats, Sunroof, Spray In Liner, All Weather Mats, Backup Camera, Toyota Flip Back Topper, 7 Round and 4 Flat Hookup, Trailer Brake Output, Electric Mirrors, Cargo Lighting, Full Slide Down Rear Glass, Tow/Haul Mode, Tundra Touch Screen Audio, XM, Bluetooth, Mounted Audio Controls, Front and Rear Park Assist Sensors, Traction Control and so much more!!! !